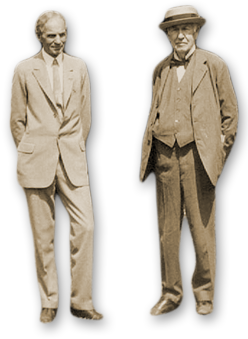 Today Edison Ford continues the tradition begun by the Edison and Ford families. In fact, there are 17 different mango varieties on the property (including the “old Florida turpentine mango”). Edison Ford collaborates with ECHO (Educational Concerns for Hunger Organization) in North Fort Myers. 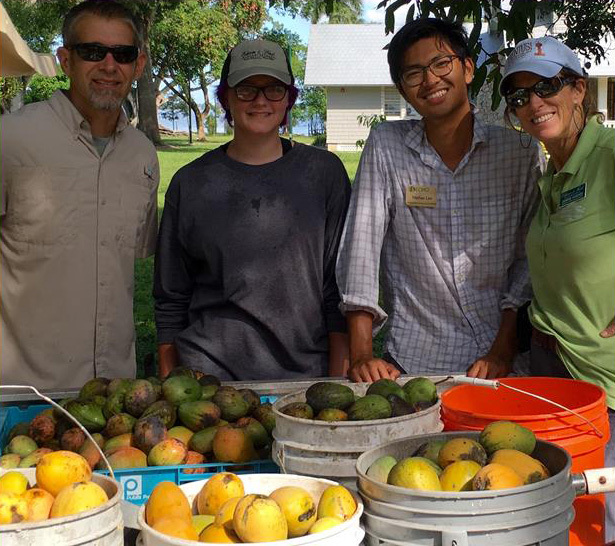 ECHO Farm Manager, Tim Watkins, and interns assisted Senior Horticulturist, Debbie Hughes gather turpentine mangoes (approximately 1,000). ECHO Nursery grows the seeds as rootstock, grafts mango varieties to the rootstock, and distributes grafted fruit trees to needy communities around the globe to help grow their own. Edison’s old mangoes have made their way around the world. Garden staff gathers fruit from the property and will sell what is available in the Museum Store. Because mangoes ripen differently, it’s always good to call ahead to see what is ripe and available for sale. This time of year, there is starfruit, and eventually Meyer lemons, calamondins, key limes, and limequats seasonally. For more information on what’s available call, the Museum Store at 239-334-7419.